Anything on sale I love to look at to see what they have to offer. Last night a friend of mine called and asked me if I would like to go with them. 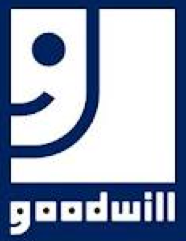 Since I didn’t have any plans going on I told them yes and I was excited when they told me we are going to Goodwill. It’s been a while since the last time I went shopping at Goodwill. I usually shop there if they have 50% off, otherwise it’s expensive even though it’s already used. I usually get the same price if I go to the mall and look for a good sale. Usually I buy toys there since I have a four year old little princess. As always I bought a lot of toys and they still almost look as brand new. With the price I paid, I’m pretty happy about it and so was my hubby. I might have a garage sale soon because Rachel’s toys are out of hand. We only have so much space in our house and her toys are taking up all the space.